RAMP: What is it and it is right for me? The Department of Veterans Affairs is notorious for its red tape. Some injured veterans hoping for disability benefits spend months building a thorough application only to find their claim denied or underrated. In order to appeal the decision, veterans need to bring their claim to either a local Decision Review Officer or to the Board of Veterans Appeals. Unfortunately, either option can result in months and even years of waiting for a response. During this time, many struggle to earn a living and put food on the table for their families. The benefits appeals system has been highly criticized by veterans, civilians and policymakers alike. Last year, Congress passed the new appeals modernization act intended to provide some relief to the VA appeals process. Unfortunately, however, the new appeals system is not intended to fully launch until at least February of 2019. However, some portions of the new system is currently available to veterans under RAMP. In November of 2017, the VA began offering the new appeals process to select veterans with cases already on appeal. This process is called the Rapid Appeals Modernization Program, or RAMP. It allows those veterans who have been invited to participate in the new appeals process early. Participation in RAMP is voluntary, but once you opt-in, there is no opting out and going back to the old appeals system. Recently, due to low opt-in rate, the VA has opened up the RAMP program to all veterans who qualify. If you opt into RAMP, you have to elect one of two “lanes” (1) Higher-Level Review or (2) Supplemental Claim. On the Higher-Level Review track, a higher ranking VA employee (effectively a Decision Review Officer) will review your case and render a new decision. This decision will either overturn or uphold the previous decision. No new evidence may be introduced; the VA will make their decision based on their own de novo review of the record. You do however have the option for a one-time informal telephone conference with the next decision maker. On the Supplemental Claim track, you may submit additional evidence in support of your claim. The new evidence will be reviewed by the same level of VA employee who rendered the initial decision. You may select to have a hearing before the VA to discuss your case. Eventually, the third lane for appeals to the Board of Veterans Appeals will be made available under the new appeals process, but it is not currently available under RAMP. 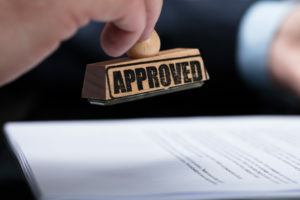 Should you have your appeal denied at the Higher Level Review or Supplemental Claim lane during your participation in RAMP, you can appeal to the Board, but it will not be heard until the new appeals process is in place. It is also important to note that all claims on appeal must go into RAMP together, you cannot choose some claims to go to RAMP and some to stay in the old appeals system. Should You Participate in RAMP? While some veterans are pleased that their concerns about the appeals system are being addressed, others worry about the effectiveness of RAMP and not knowing what to expect. According to the VA, veterans can, however, expect their appeal to be reviewed faster in RAMP than through the current appeals process. RAMP may offer a faster result, but many are hesitant to give the new system a try. Those hoping to overturn a benefits decision have already waited many months to receive their initial disappointing decision from the VA. The last thing many want to risk is being denied benefits again and then be unable to be seen at the Board until at least February 2019. There are benefits and drawbacks to RAMP. Far from a one-size-fits-all program, the temporary process has as many advocates as it does critics. The only person who can decide if RAMP is a better option to the traditional appeals process are the veterans themselves. However, we highly recommend seeking counsel from your representative on whether or not yours is a good case for RAMP. If you have questions about your appeal and are considering to opt into RAMP, reach out to Veterans Law Group for guidance. For more than twenty years, our team has fought to promote the rights of injured and disabled veterans across the country. During that time, we have become one of the most respected advocates in the field of veteran’s disability attorneys. Available for assistance with appeals at all levels, VLG can help connect veterans with medical specialists and vocational rehab experts who can provide helpful evidence in support of your appeal. Contact us today for a free review of your case. To get started, simply fill out this consultation request form and submit for evaluation. We will be in touch with ways VLG can help you get the benefits you deserve.